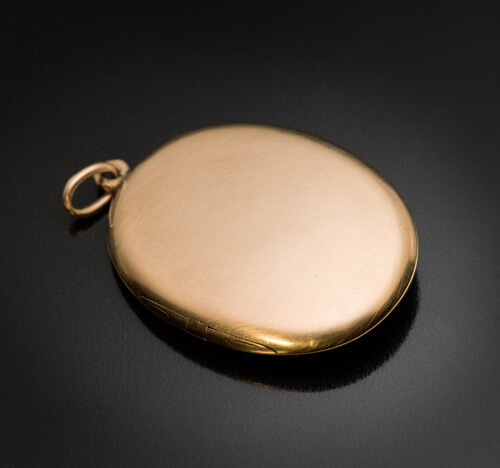 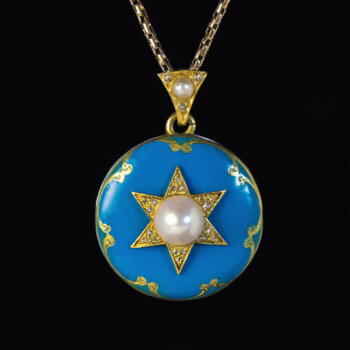 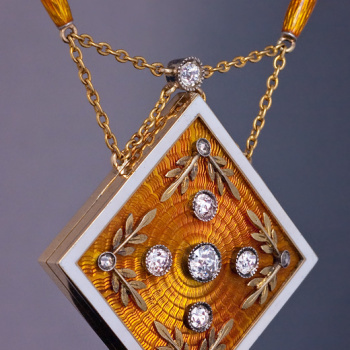 This antique Russian 14K gold and silver locket pendant was made between 1908 and 1917. 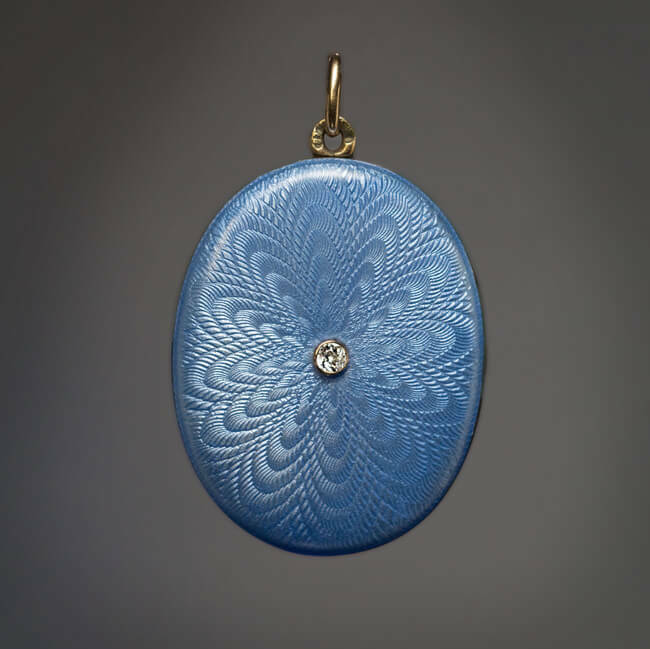 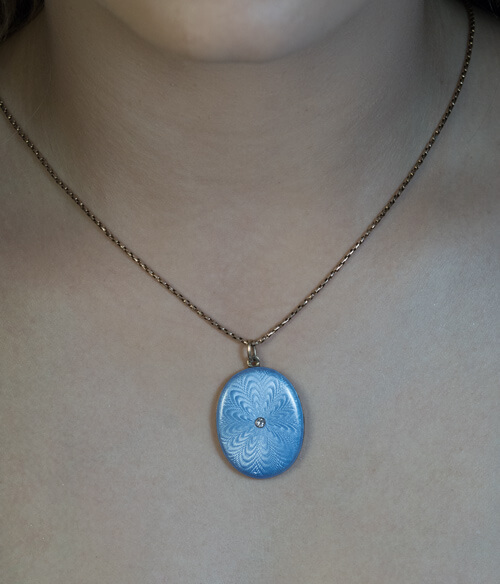 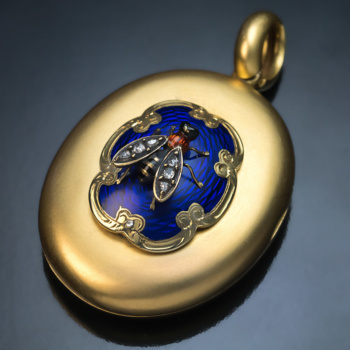 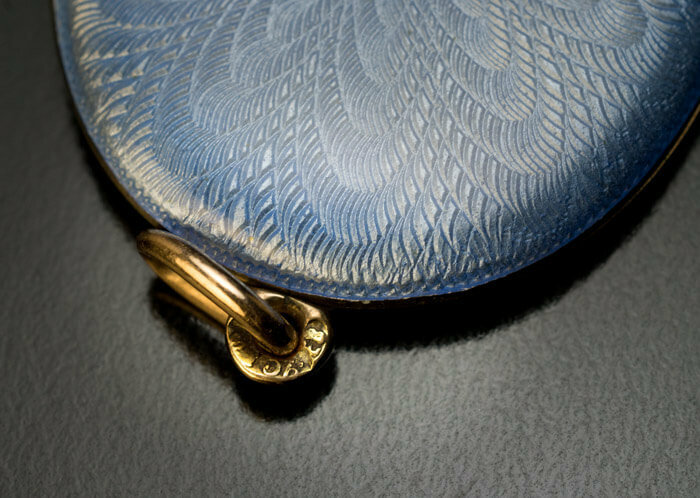 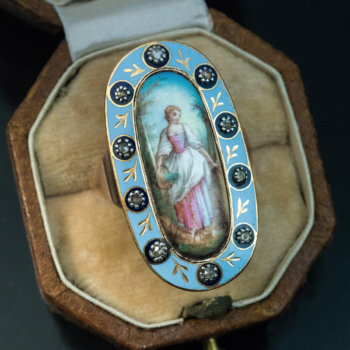 The cover of the locket is enameled in a silver-blue color over a guilloche ground depicting a flowerhead motif. 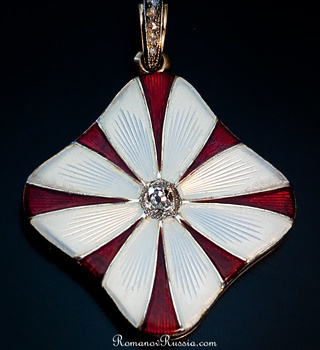 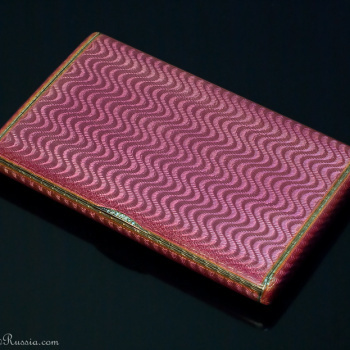 The center of the cover is accented with a small old cut diamond. 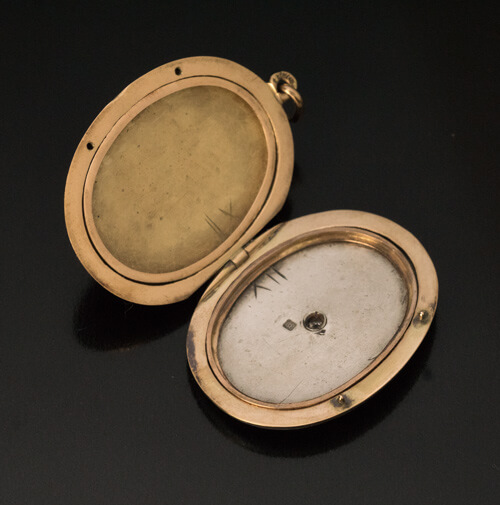 The locket is marked on the smaller ring with maker’s initials ‘EB’ and 56 zolotnik old Russian gold standard. 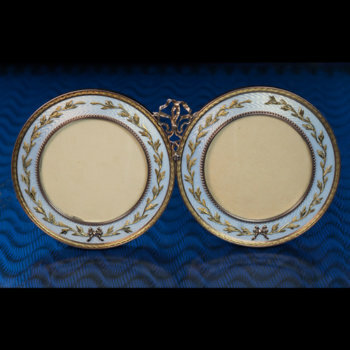 The interior is fitted with two miniature gold picture frames.